2014 Centurion Enzo SV244 2014 LOADED! Pictures do not do this beauty justice!! Must see!! Cover and Bimini top, stainless steel rubrail, 2nd battery, quiet tip exhaust, carbon vent covers, Clarion, custom stereo, 4 tower speakers with blue led lights and throughout the boat. 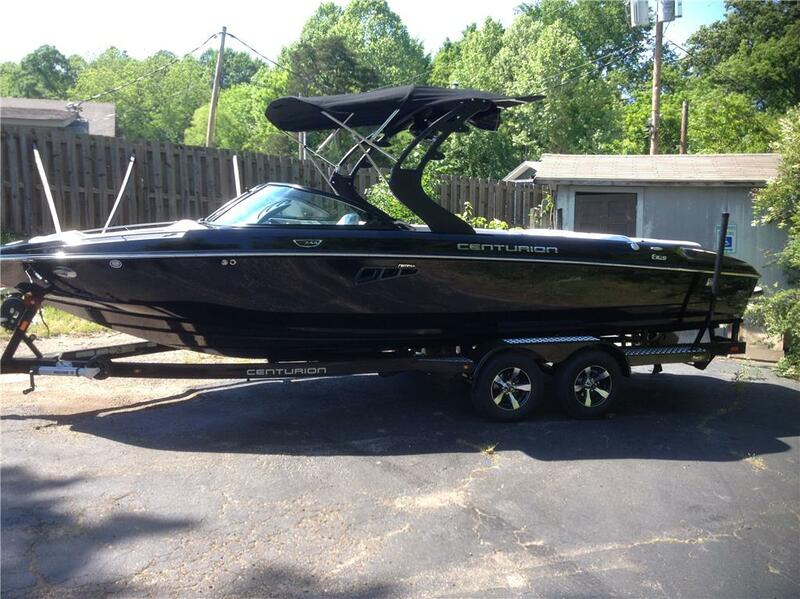 Wakeboard pro pkg, RAM Ballast, CATS - The 2014 Centurion Enzo SV244 is the flagship of the Centurion Boats lineup and is the official towboat of the World Wake Surfing Championship. The deep-V hull from the Enzo SV series has towed the premier wake surfing tournament each year from 2007-2014. At 24 feet overall, it features the largest cockpit in its class and delivers the longest, hardest and most powerful waves found inland. The Enzo SV244 has a 102 inch beam, a draft of 30 inches and seats you and your 15 closest friends. The new Centurion Touch Vision System brings total boat control with the touch of a finger-tip including ballast, stereo, GPS navigation and instant rider profiles. The signature Deep-V hull proves unmatched in performance, handling and wake shaping. Trailer included. Can send more photos upon request- MUST GO!